Have you been living in Spain for one year or more? 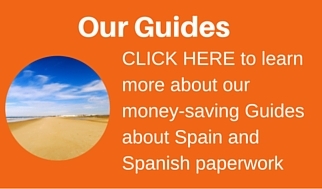 Have you ever carried out a Spanish paperwork health check? If you haven’t, now might well be the time to do so. It could save you a lot of money! We know that Spanish paperwork can be challenging and always do our utmost to make it more simplified, however, there is an even bigger beast lurking … a beast that grows every day. A beast that, despite you not knowing it even exists, is totally your responsibility. It is your actions that decides the size this beast will be when you finally have to face it … it’s the monster multa! A multa (referred to as a “fine” or “penalty” in English) is a monster that comes in all sizes. If you commit the crime, you should pay the fine … Fair enough, but what if you aren’t aware you’ve committed any “crime”? How are you supposed to know? Simply, in Spain, you are! We understand that many people think that they cannot deal with the Spanish paperwork and chose to either pay a lawyer or other company, quite substantial amounts of money, to sort matters out for them. However, this is usually when it is too late and a monster has emerged … maybe in the form of a frozen bank account or a stern letter from hacienda. At that stage, the monster has grown and it is going to be a costly and gruesome affair! In designing the Spanish Paperwork Health Check, we plan to help you to murder the monster in the early stages of growth and ideally, prevent it from ever hatching … we will teach you to master the burro and take control. You will no longer need to fear the men in green (guardia civil / traffic police), nor the scarily official envelopes. You will be in control! Health care entitlement … Do you need private insurance? EU Driving Licences … Is it time to change to Spanish licence? Do you have any outstanding traffic fines? How to check and save yourself receiving huge fines! Do you have the correct address on your car paperwork? Do you have the correct address at social security? Do you have the correct address at hacienda (the tax office)? 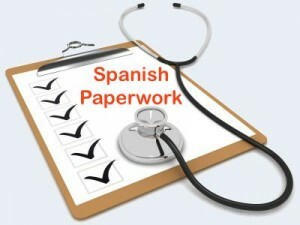 Full details of our Spanish Paperwork Health Check will be published soon. If you would like to be informed as soon as it is published, SIGN UP HERE!